Brisbane is actually a very cool city. Connected by as many forms of transport as possible. So many bits and pieces of the city that are just amazing and only a 20 minute ride in the bus. Or a little longer but in the best way of transport: ferries. 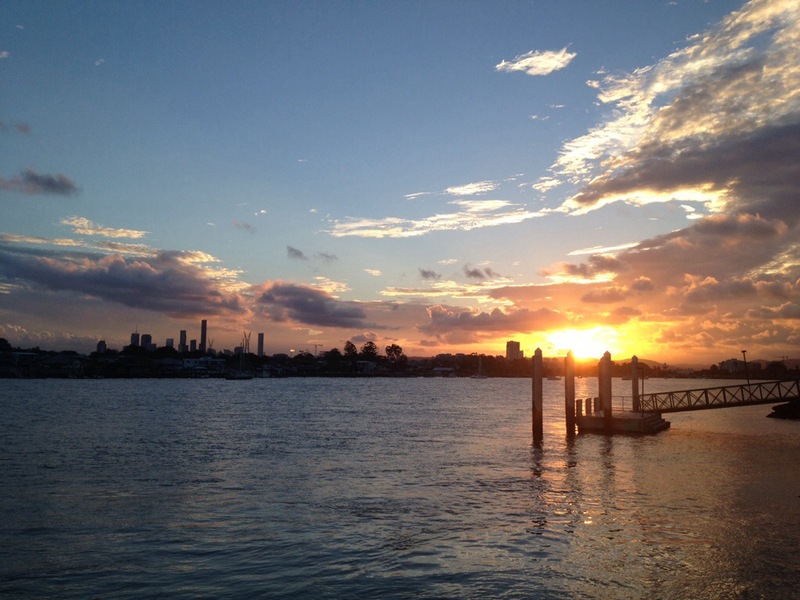 And if you are lucky, like me, maybe waiting for a ferry you also get a glimpse of the city during the sunset.